A family business thats been establishe­d on the same site for over 40 years making a wide range of products and one offs for the trade and the public. Servicing the whole of New Zealand, Stewart Island and the Chatham Islands. Open 8am-4.30pm weekdays or by arrangemen­t. 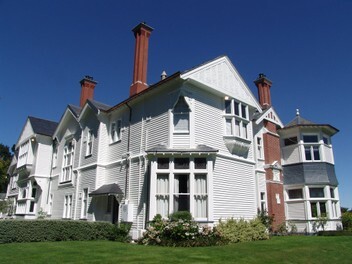 Located in Woolston, Christchurch on the same site for over 40 years. We produce a very wide selection of products using a wide variety of metals. High quality pre assembled flues and fittings for single,double story houses including homesteads and estates. Complete sheet metal workshop including powder coating facilities means we can do a job complete from start to finish in the one place saving you time and money. Custom one off work is common for us and we have a staff of skilled engineers ready for your job. liaising with builders and installers,long lengths of continuous tube,galvanized and s/s tube,fittings and brackets,thermettes,spa bath heaters,round windows,pile casings,plain or spiral tube, sheet metal flashing,CNC work and much much more! Items we produced regularly sent N.Z wide. Using good quality materials with skilled engineers results in long lasting products is always a great outcome. Come in or call us about your job. We have friendly staff who are willing to help.